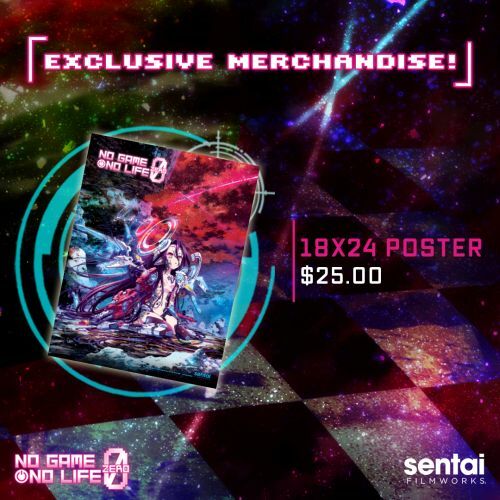 Coming Soon: The ‘No Game No Life Zero’ Release in North America! 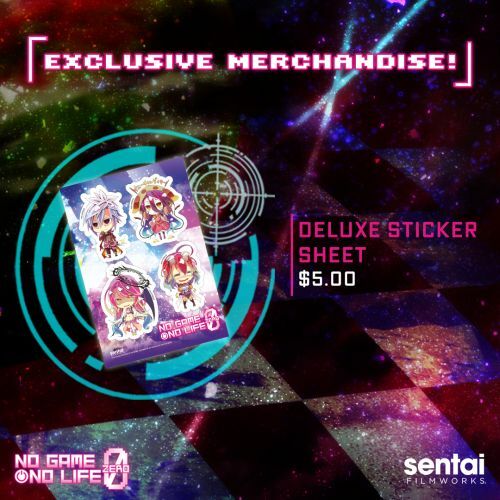 Time is running out to get your tickets for the North American No Game No Life Zero release! This grand premiere will take place on September 15, 2017. 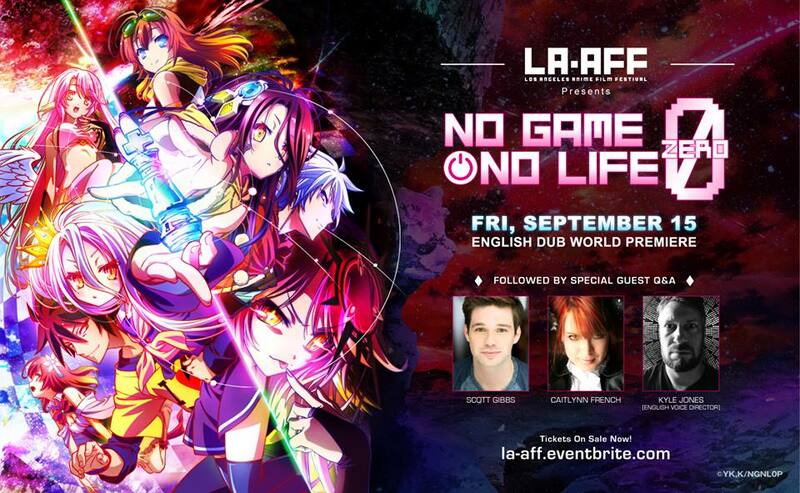 With only ONE WEEK AWAY from the English dub premiere in Los Angeles, what can fans expect that this gala? 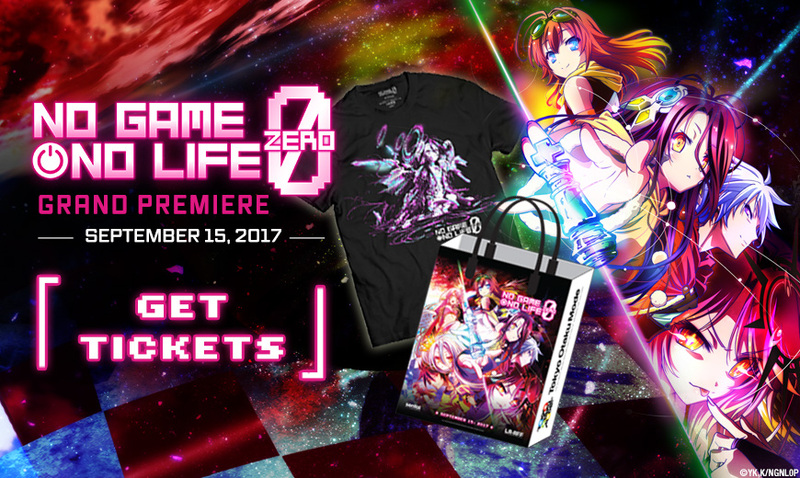 Fans who attend the premiere will have a special treat: the chance to meet members of the cast of No Game No Life Zero! After the showing, there will be a Q&A session with Kyle Colby Jones (English dub director), Scott Gibbs (English voice actor for Sora and Riku), and Caitlynn French (English voice actress for Shiro and Schwi). 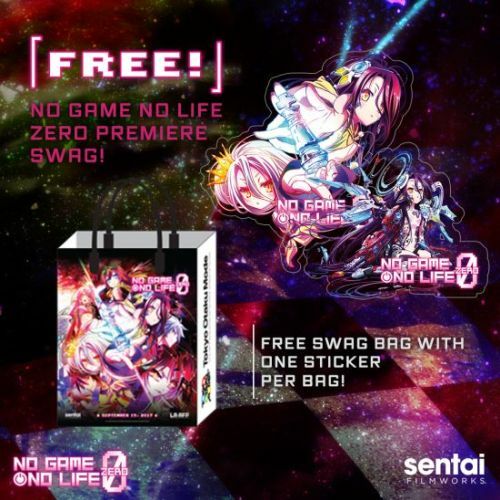 Every attendee will receive a free swag bag filled with exclusive, limited-time No Game No Life Zero merchandise. *Early Access VIP badges are sold out! 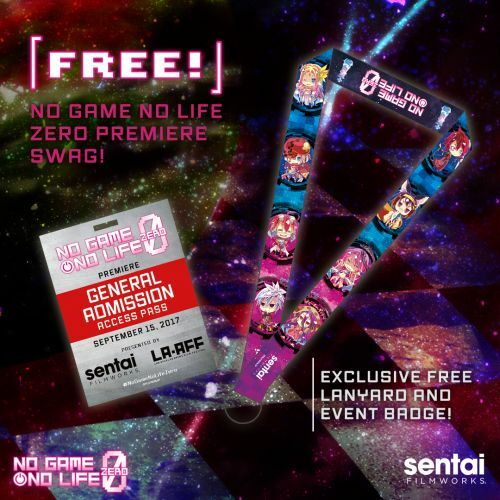 All early access guests will receive a free deluxe swag bag with a mystery gift inside, in addition to the full suite of No Game No Life Zero swag bag contents. 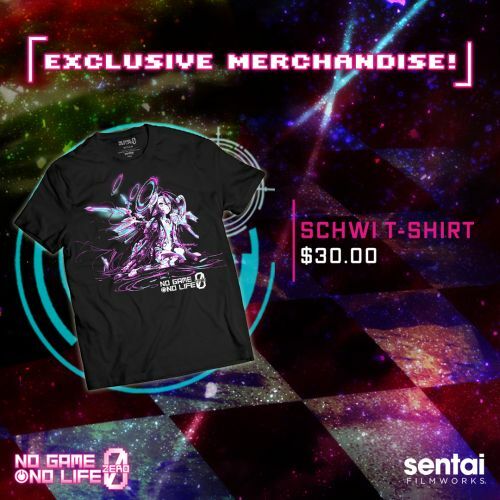 To celebrate the premiere, Sentai Filmworks has launched a whole new line of No Game No Life Zero merchandise for an extremely limited run. 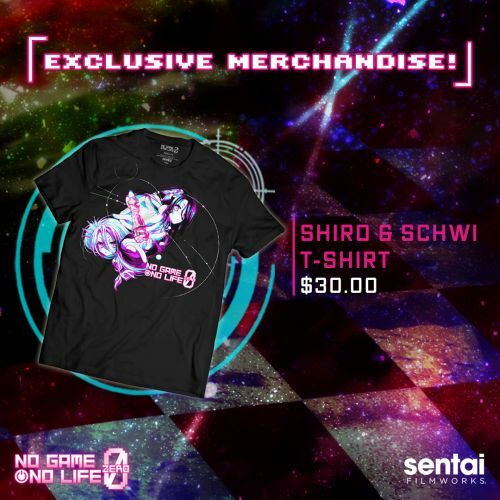 The new debut merchandise will be sold before and after the showing of the English dub premiere. Get Your Tickets Before They’re Gone! 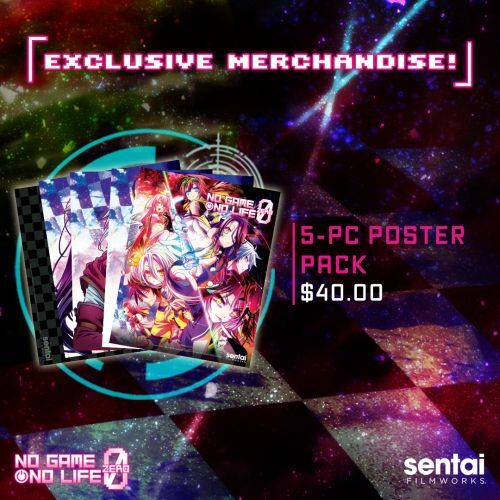 The No Game No Life Zero release is a party you won’t want to miss. Get your tickets before the seats are GONE.